The Aston Martin One 77 is revealed as animated lights are reflected off its sculptural form. 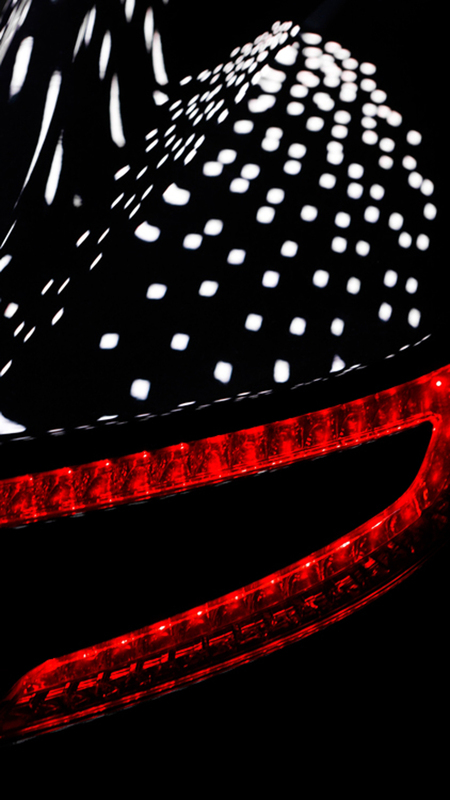 A blade-like chandelier of 700 OLEDs is angled to be barely visible from the eye of the viewer, so that the rippling light is seen only in reflection on the curves of the car, creating a memorable first view of the super car. The project was created by Jason Bruges Studio.